Easter Sunday is upon us. It's that magical reverent time of year when the Easter Bunny rises from the dead, rolls the rock out from his tomb, pokes his head out of the hole and if he sees his shadow, he suddenly realizes that he's become a vampire and immediately turns to dust, thus robbing all the small children of their annual opportunity to...hunt for hidden painted boiled eggs far too early in the morning on a freezing cold day in early Spring. Do kids really want to eat a bunch of nasty boiled eggs that were lying on the ground for who knows how long? I'm thinking...no. The fat, spoiled, entitled little rugrats are going to demand chocolate - and lots of it. But I digress. Arrr, ye all be welcome, mateys! Looking for an old & funny song you haven't heard in forever? Your search may very well be over for it's likely to be here. What if you just want to hear full streaming comedy shows full of the best music of the dementia genre? We've been cranking them out for more than a dozen years. Complete shows made by our DJs are here, free to be heard and available immediately with just a click or 3. What's not free? There's always a catch, isn't there? Downloading copyrighted songs, that's what. This site is a member of ASCAP, BMI & SESAC in good standing and the copyrighted songs you hear are all legal to stream & be heard. But you can't download them. What you CAN download are all the Creative Commons affiliated songs we have. And we have a lot of them. We also have thousands of videos to be seen. So does YouTube. But all of ours are of one genre and all in one place. No searching for them; they're all right here. This is another one of those sites you can easily get lost in for hours on end finding songs & videos of years past that you've been missing...it can all be rather addicting, actually. Be sure to watch the time so you don't find yourself late for something. So with all that in mind, be ye at ease, pull up a chair, have a flagon of grog & be listenin' to all yer favorite music, old & new. It's alive! And assuming different forms! 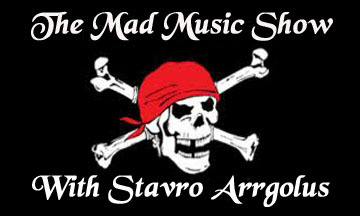 Right now there are four: The Mad Music Show, The Mad Music Hour, The Mad Music Podcast (here and on iTunes) and the especially rare Mad Music Special (consisting of 3 hours or more). Old Retired Commodore Stavro Arrgolus takes you on a twisted trip through the land of dementia when he feels up to making one of these shows and you can always request songs for them whenever you feel up to it. The shows' strange & off the wall themes usually aren't what you'd expect, so every show is crispy fresh. And sometimes crunchy. Cap'n Wayne has returned with new shows of his own and he brings a new request line number you can call: 1-800-519-0300. Give Cap'n Wayne a call and one of us may play your call & request on the show. Be sure to give the shows a listen...or get keelhauled, matey! ARRR! Started in 2016, the show went through many changes throughout the year all the way through 2017, was supposed to end in 2018 but is returning again. 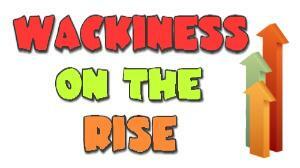 Wackiness On The Rise is a one-hour comedy music podcast hosted by Wacky Ben, former host of Ben's Wacky Radio, and is currently planned to be a weekly show. Episodes are posted every Friday, the best way to get your weekend off to a wacky start. MadMusic.com is happy to welcome 11 year-old DJ Darren and his "Off the Record" radio show to our list of weekly comedy shows! The show features "Off the Record on location" segments, mystery song contest, and comedy songs old and new. The show is clean comedy music and 100% safe for work. Off the Record is broadcast and recorded live on Sunday nights on 103.3 FM WXOJ-LP Valley Free Radio in Northampton, Massachusetts from 7-8 PM EST and posted here shortly afterward. Tune in each week for Darren's enthusiastic show and many songs that can be heard nowhere else! You can login via Facebook and 'Like' many elements on the site. With each 'Like' you can also add a post to your timeline about the item (this is optional of course). Just login normally, then use the 'Login With Facebook' button to link your Mad Music account to your Facebook account. Not only that, but new members can sign-up on Mad Music just by logging in via Facebook - the site will create an account for them automatically and no activation e-mail is required! Tell your friends, 'Like' your favorite songs and help us use Facebook to expose more of the world to the Fun of Mad Music! Sometimes, the listening just isn't enough and you get an unhealthy craving to sit back and fry your brain cells with hours of comedy music videos. 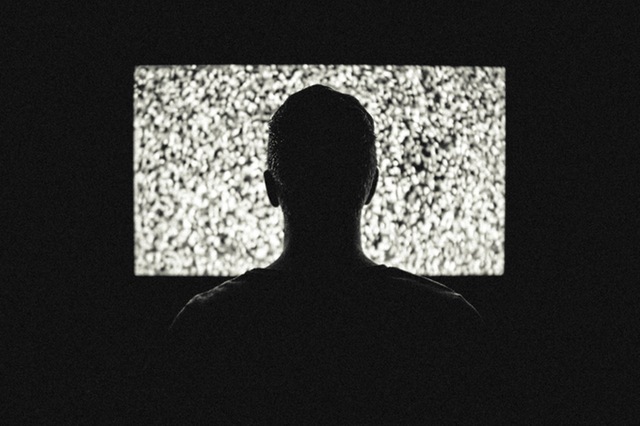 Captain Wayne has the deep-fryer at the ready, so sit back and let those brain cells slowly sizzle while binge watching your favorite comedy music artists doing silly things on video. Our improved 'pagination' function gives you more immediate access to every video added to the site. Better get to seeing them now while they're still mind meltingly amusing.